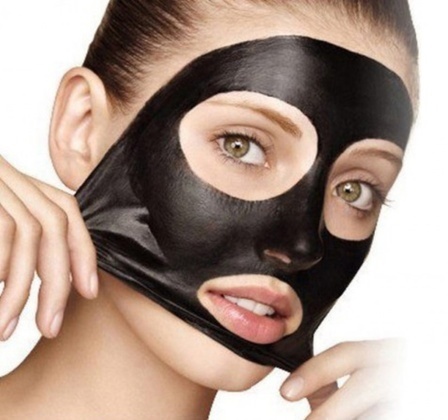 Black peel is an innovative safe chemical peel based on black vinegar and jasmonic acid. The additional active ingredients are sulfur, salicyclic acid, acetic acid and potassium iodide. As a natural organic acid, the Black Acetic Acid of Theraderm Black Peel is made through the fermentation of black rice. It contains large amounts of organic materials, minerals and especially high concentrations of essential amino acids. Recent researches on black vinegar have revealed its anticancer properties in vivo on rats and in vitro on human cancer cells and as well as antioxidant activity by reducing oxidative stress. After cleansing and degreasing the skin, the peel is applied with a soft brush on the face and kept for 5 minutes. The peel is rinsed off and the client is advised appropriate post procedure care. The procedure is repeated after a month. This procedure is recommended for clients with oily skin , aging and inflammatory acne.